“Are you off in the summer?” When someone asks that question, you know they have never worked for a school district. Between graduation and convocation is when construction, maintenance and custodial staff power through their list of projects that have been waiting in the wings. It is when the purchasing and business offices wind down from one year and gear up for the next. There is no need for frustration for these annual headaches: Resources are available. Cypress-Fairbanks ISD in the Houston area planned ahead several months and reserved a specialized Teupen lift, known for saving manpower and time. Carey Ramsey, CFISD facilities supervisor, will use it for several weeks this summer to replace lights above the seats in the high school auditoriums. The lift will navigate between aisles and self-level, so staff will only have to set it up in four places to reach the lights above the auditorium seats. He hopes to get the lights replaced faster and more economically than the single-man lift, which takes three men to put together and move around. He is renting the lift from United Rentals, using their government-awarded Choice Partners purchasing cooperative contract. Gabriela Santana, government sales specialist, United Rentals, noted that people do take that seriously, as she has been called at 1 a.m. when a high school had no power. She was able to get a generator to the site in time for school to open later that morning. “I told them they could call me any time and they believed it,” said Santana with a smile. The Choice Partners contract also includes rental of unique equipment, purchase of equipment, and on-line capability to track rentals and rental history. Cory Conner, public works director from Sweet Grass County, Mont., believes the best value was not in renting, but in purchasing used equipment using the United Rentals cooperative purchasing contract with Choice Partners. They purchased a used loader using the contract and “saved about $140,000,” according to Conner. 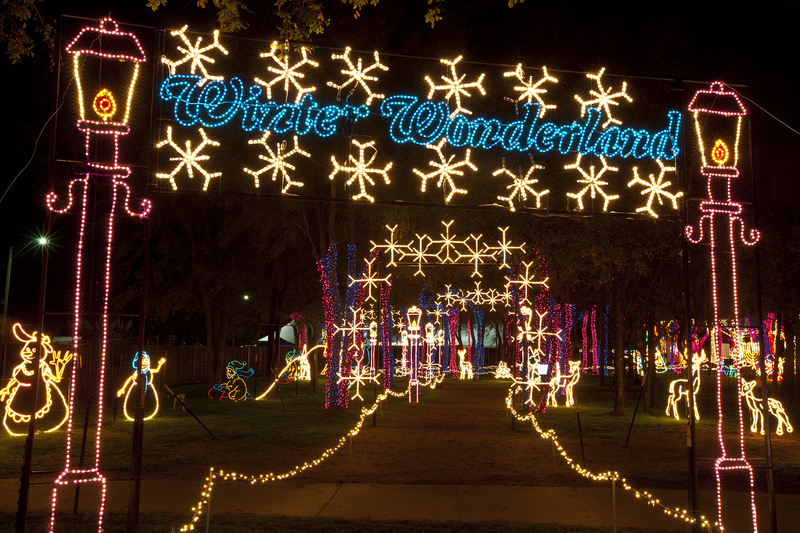 the 40-day event to experience Christmas lights, food, carnival rides, a laser show, Santa and Santa’s gift shop. With 880 locations in the U.S. and Canada, there are many United Rental locations to serve Choice Partners members nationwide. For more information, go to https://www.choicepartners.org/vendors/united-rentals-2 or call 877-874-4468.